A small corner of east London is set to help tackle the UK’s waste mountain by turning used drinks bottles into safe, reusable food packaging. 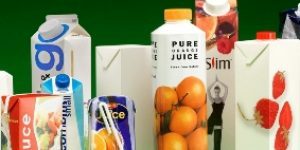 As a new survey reveals that packaging waste is now the biggest environmental concern in the UK, Britain is poised to make a dramatic leap forward in its recycling efforts with the opening of the nation’s first “closed loop” recycling plant. The £13m facility in Dagenham, east London, will turn millions of used drinks bottles and sandwich wrappers made out of PET (polyethylene teraphthalate) back into “clean” wrapping.